We think this tin of peas and carrots is just so adorable! 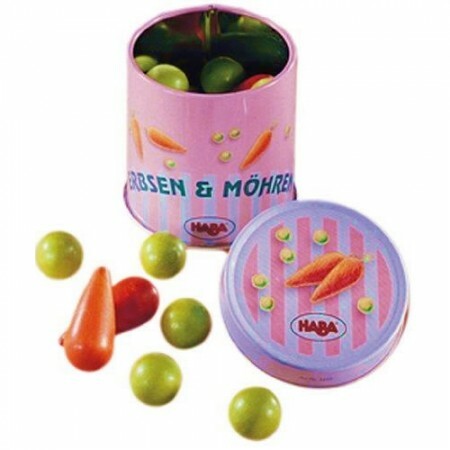 A metal tin filled with little wooden peas and carrots. The colours are much brighter than in the picture, they're really striking in real life. A lovely addition to any play food set, lots of fun!